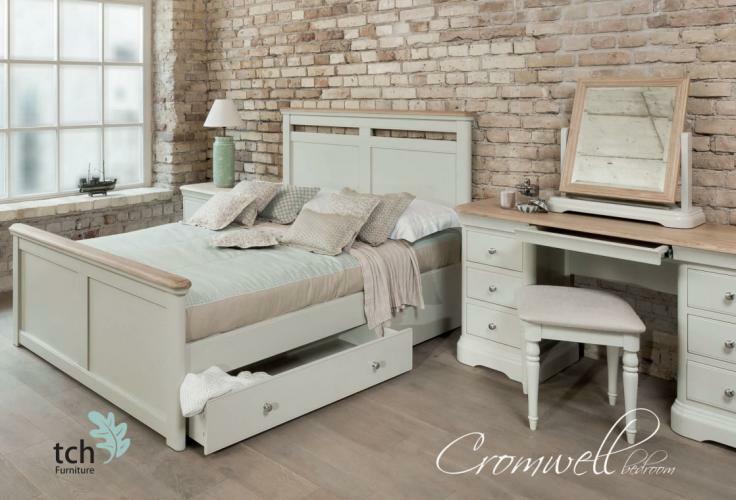 The TCH Cromwell bedroom furniture range was designed exclusively for TCH. 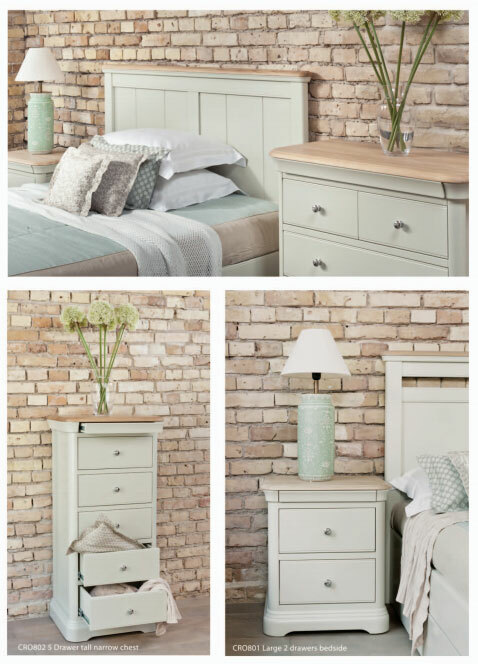 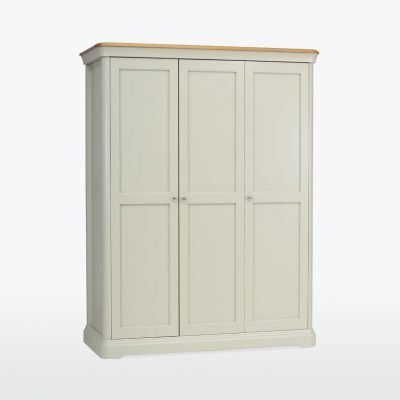 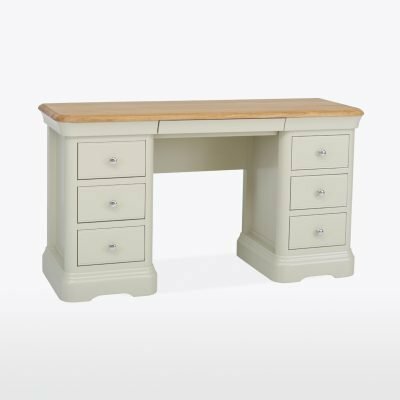 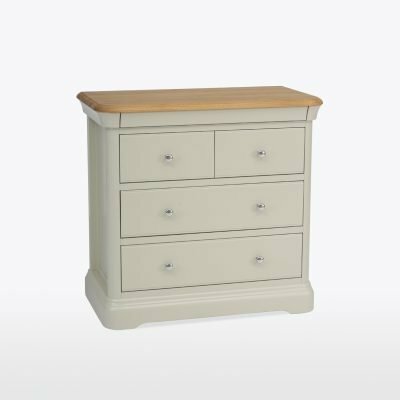 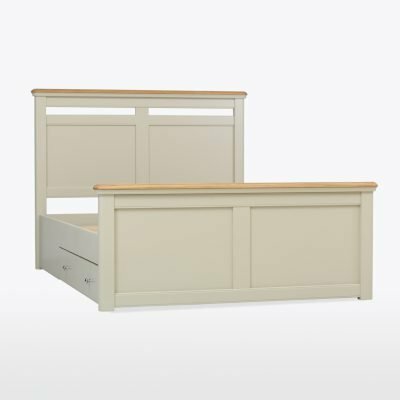 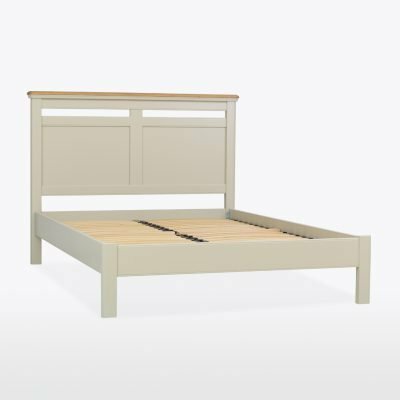 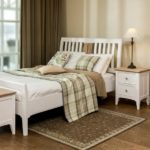 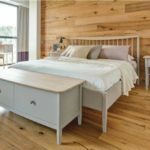 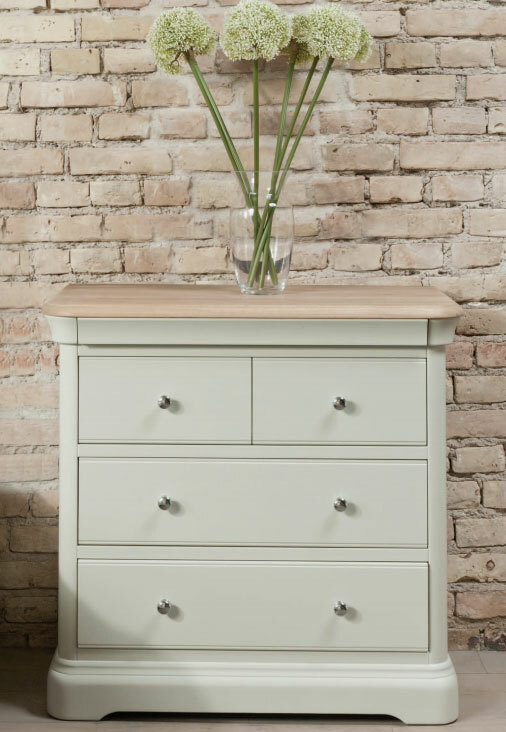 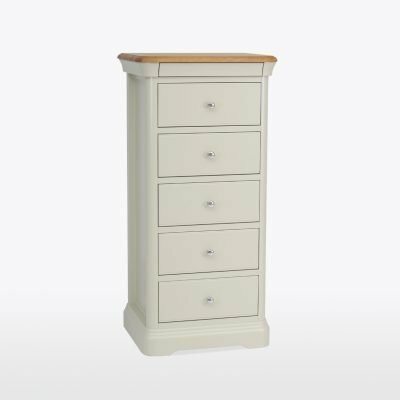 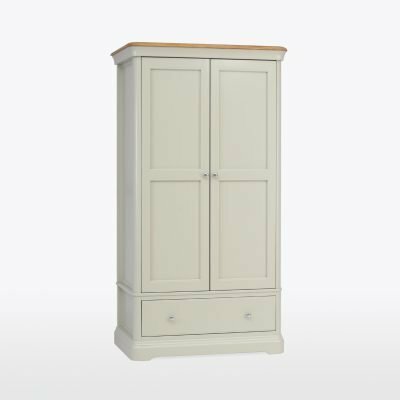 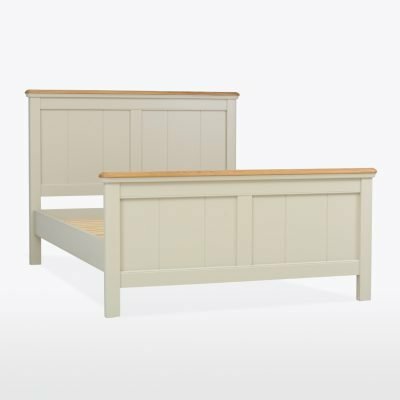 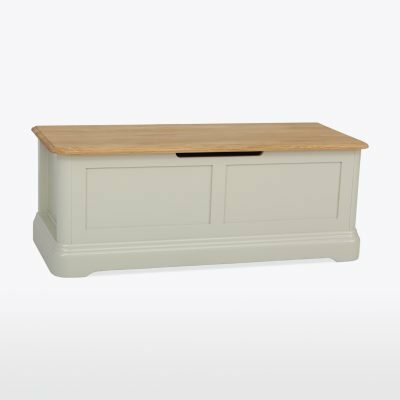 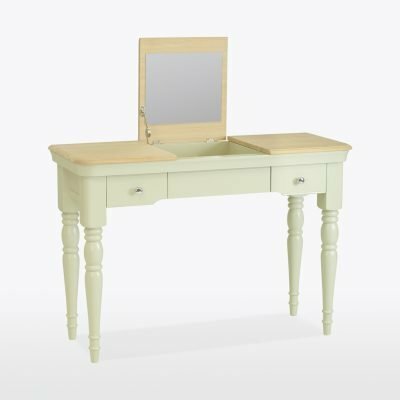 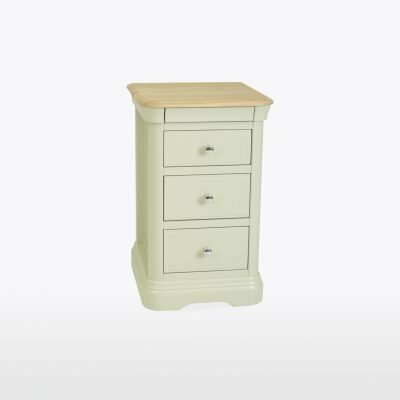 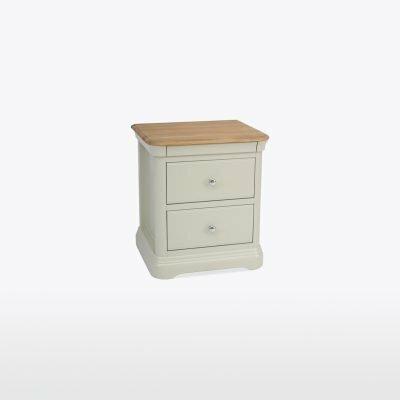 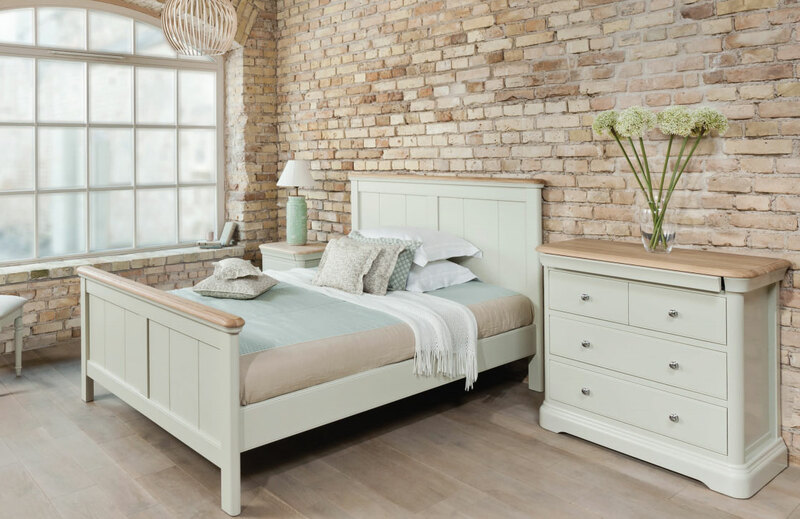 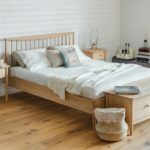 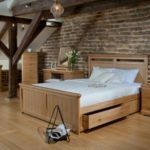 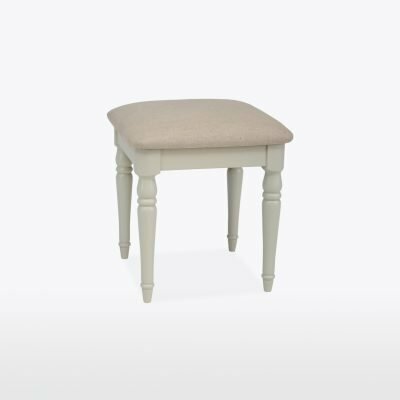 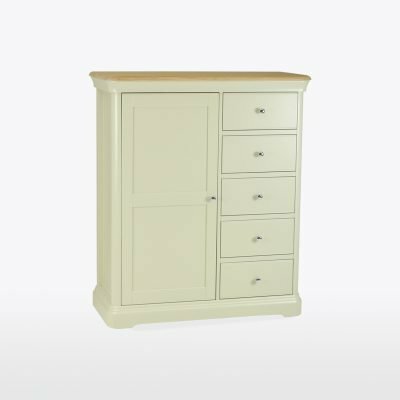 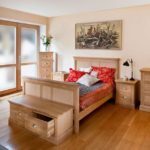 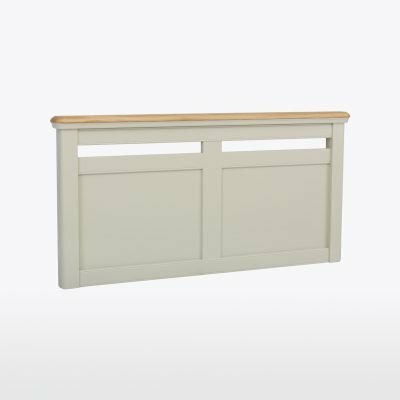 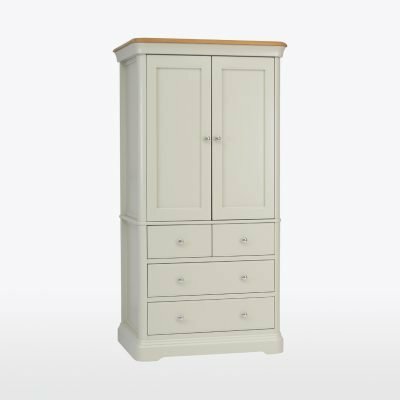 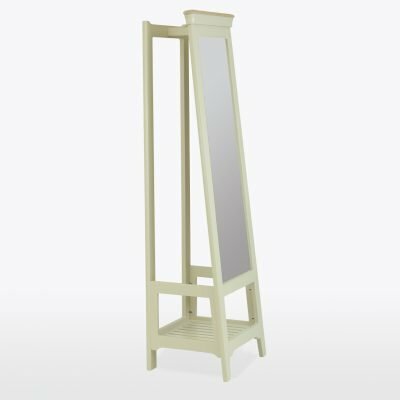 Cromwell bedroom furniture features a combination of subtle pastel paint finishes and natural solid European Oak, complimented by the soft curves and profiles. 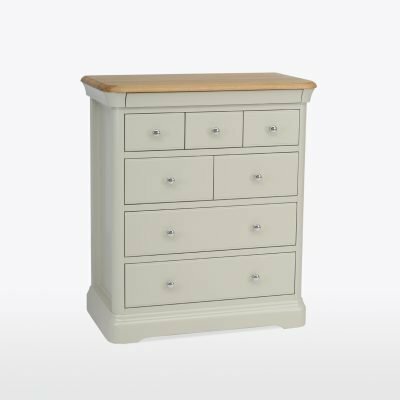 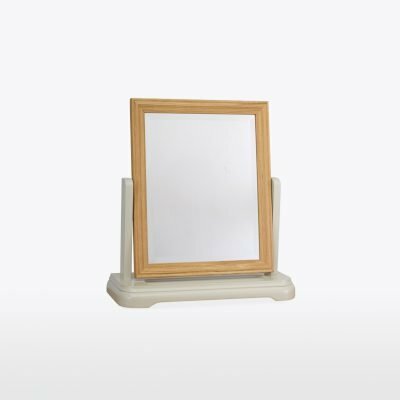 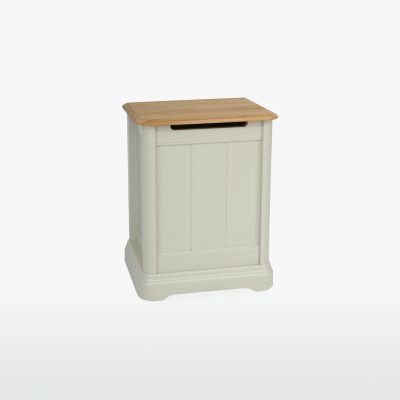 This provides the look of traditional French style, yet the combination of the colour, natural Oak and bright chrome handles gives it a fresh look that suits both modern or country living. 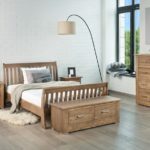 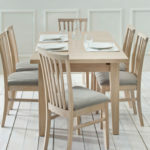 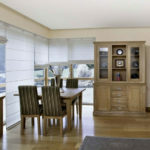 Each piece is individually made and the oak is crafted from the finest selection of European oak, sourced from sustainable and responsibly managed forests. 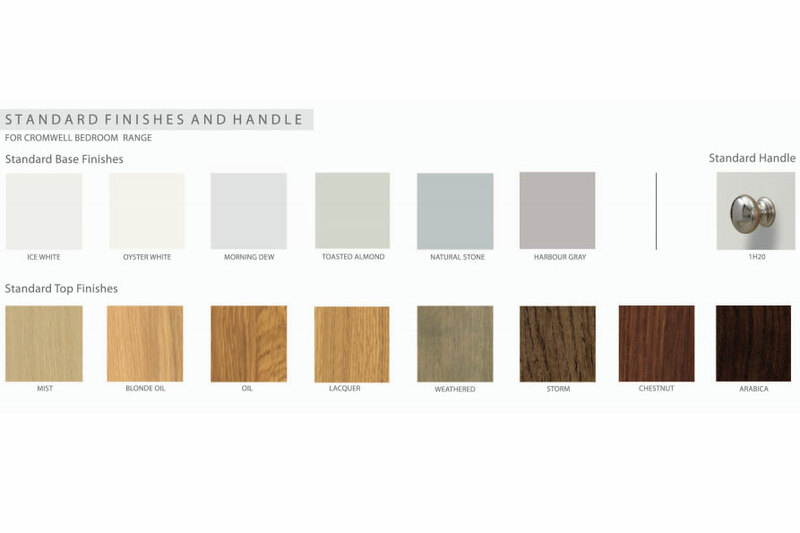 Unique to TCH the manufacturing process actually starts with the slicing of the logs to Kiln drying and then through the whole manufacturing process, all within the factories control. 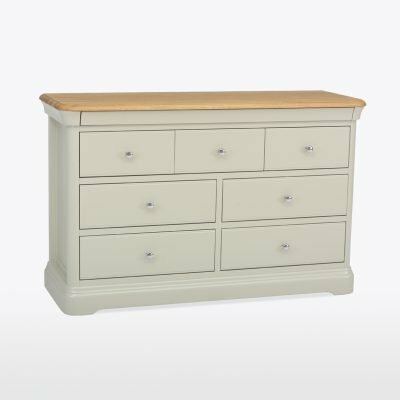 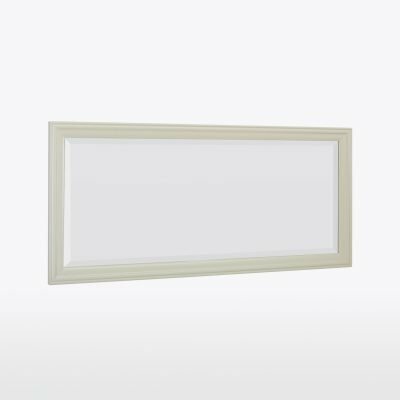 Other details such as secret drawer behind the top profile give this range a unique character and quality that has become the standard for TCH.